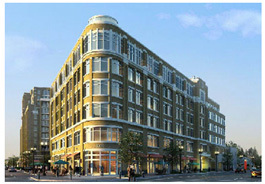 KEC's primary objective was to provide slab edge coordination drawings for a two-block infill development at the Clarendon Metro station in Arlington County, Virginia. The slab edge drawings were prepared by coordinating building envelope shop drawings with architectural and structural drawings. Drawings were prepared for 1st floor through penthouse roof of 2 buildings (Clarendon Center North, Retail and Office, and Clarendon Center South Retail, Office, and Residential).